Sentimental and unique, the eternity band is a stacking ring with symbolism beyond the here and now, an icon of a bond between two people. We love this ring’s patterned dot texture and whimsical lacy, scalloped edge. 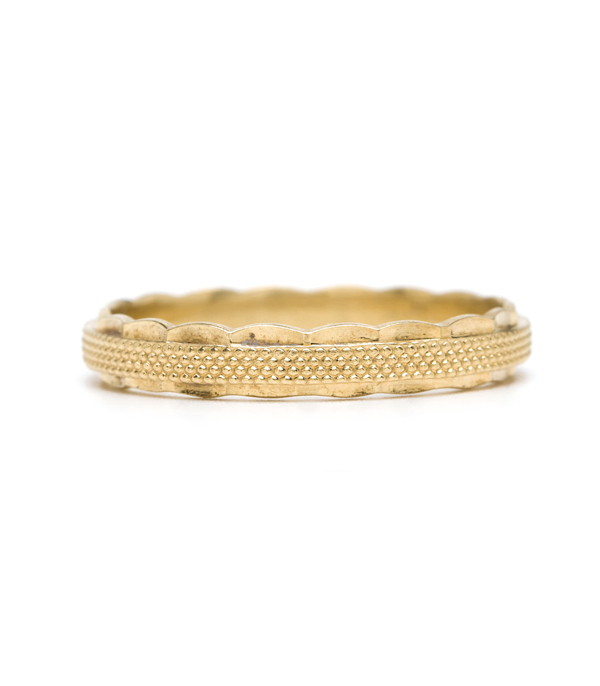 This antique 14K band can be worn as a wedding band to your one-of-a-kind engagement ring, given as a gift that marks a significant event in life, or simply added to your favorite stack for a charming texture. 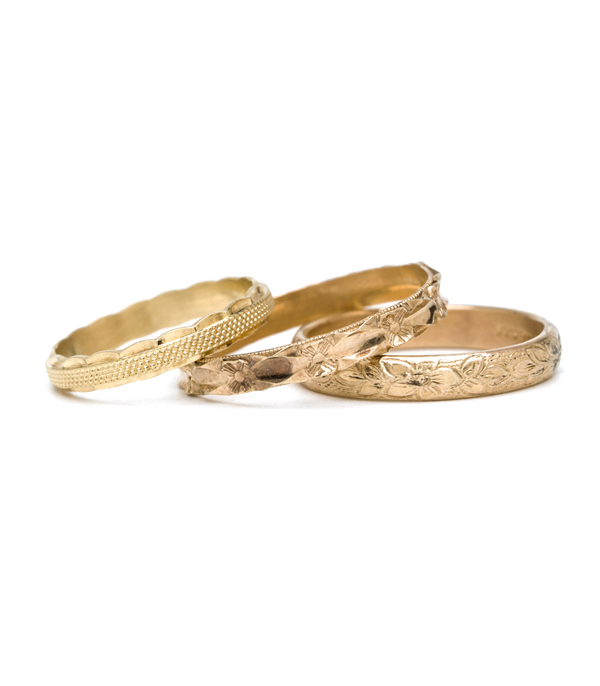 Categories: Stacking Bands, Victorian Jewelry, Vintage Rings, Women's Wedding Bands.